This is an economy version of our original Wire Twister tool, and is made of steel with a 4 mm (0.15 in) thick plastic disc. 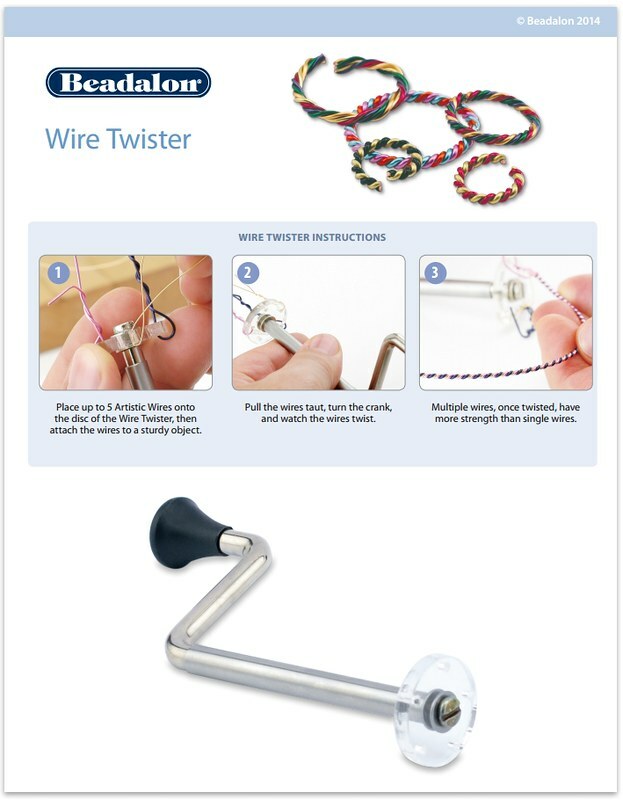 Place up to 5 Artistic Wire or German Style Wires onto the disc of the Wire Twister, then attach the wires to a sturdy object. Pull the wires taut, turn the crank, and watch the wires twist. Use color combinations to create great looking Jump Rings. Multiple wires, once twisted, have more strength than single wires. Makes creating Artistic Wire designs more interesting and fun. Use twisted wires in the Beadalon Jump Ring Maker to create different sizes of round or oval jump rings. Note: Instruction to use the tool is included in the packaging.